Home > Setting Up a Charity > Why Would I Set Up a Charity? Setting up a charity is a big step. By attempting to register your organisation as a charity you immediately take on a set of responsibilities that you may not previously have been forced to contend. Given the extra work that registering as a charity can entail, why would you bother setting one up in the first place? People will generally be happier to place their trust in a registered charity than in an unregistered fundraising organisation. The knowledge that an organisation is registered with the Charity Commission, and that it will have to succumb to the regulation that results, is likely to encourage a sense that the organisation in question is legitimate. This has a number of important benefits. Primarily, it will significantly improve your chances of securing donations if you are trying to raise money. In addition, though, it will help to encourage potential volunteers that your organisation is worthy of their time. Registered charities receive a range of tax breaks and favourable treatment to which other organisations or independent fundraisers are simply not entitled. Any money you make that is used solely and exclusively for charitable purposes will be exempt from Income and Corporation Tax. This obviously makes a significant difference to your financial situation. Gift Aid is another major tax benefit for registered charities. This scheme enables you to increase the value of donations made by UK taxpayers, by claiming tax refunds from HM Revenue and Customs. Broadly speaking, for every pound donated by a UK taxpayer giving under the Gift Aid scheme, you will actually receive £1.25. In an economic environment in which charities are finding it increasingly difficult to secure funding, access to grants is a major issue. Many grant-giving bodies will only extend finance to registered charities – so, by registering, you are significantly increasing the range of funding for which you might be eligible. It is also worth remembering that many individuals will only choose to leave legacies or bequests to registered charities. This type of donation can be a major help to charitable organisations; indeed, many rely on them to survive. It is important to note, though, that a registered charity is not the only form that your organisation could take. Indeed, for all its benefits, registration does have some significant drawbacks. Perhaps the most dramatic of these is the instant increase in regulation and paperwork. As a registered charity the burden of compliance is much higher, and you should be prepared to devote more resources to it. Becoming a registered charity is not necessarily the best choice for all fundraisers. The Charity Commission will advise you, for example, to find out whether your time would be more valuable working with an existing charity operating in the same field, rather than duplicating tasks. 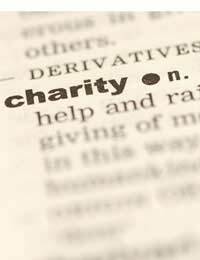 Setting up a charity is a big step, and it may not be the right option in every circumstance. If you think that registering as a charity is the right choice for you, make sure you take independent advice before making the leap. I have been hit by Oral Cancer at 53 and have just finished my Chemo Radiation. I have recieved super support from various cancer charities and wonderful care under the NHS. I kept promising myself and a higher power that if I get through this I will commit adecent part of my time to supporting various charities. I also enjoy doing endurance sport events when I am fit and healthy. Anyhow I am also hoping to aim any fund raising I do to cancers I feel are personal to me and possibly, go under the radar, so raising awarness is an issue. For these reasons I may set up a small focused charity. This site was simple clear and exactally right for my thinking at the moment. thanks for your help. I am interested in setting up a charity for young people, that is an advocacy group. I'm having problems with finding the people to make it happen. I have recieved many advices and followed them but the people whom I meet will turn me down. Iam looking foward for any suggestions.